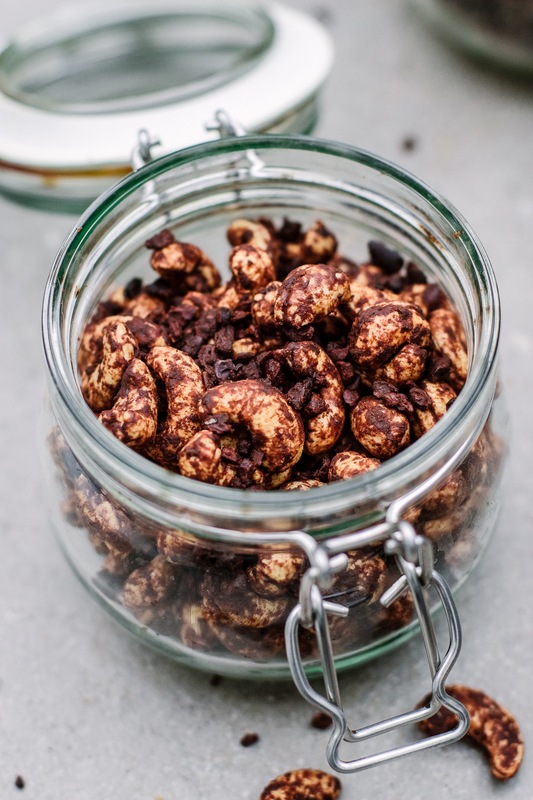 These chocolate roasted cashews are the handiest snack to have around the kitchen or at your desk. They’re chocolatey and a little sweet and salty so they’re great for cravings. 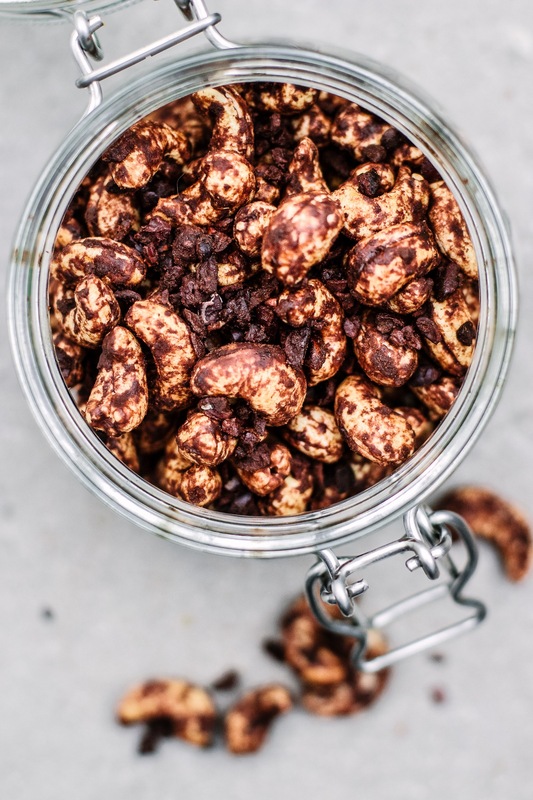 Cacao nibs are usually an acquired taste (I used to hate the but I’m obsessed now!) but they’re so delicious roasted with this sweet salty coating. Once they’re cool, store them in an airtight jar for up to two weeks. In a small bowl, whisk together the melted coconut oil, maple syrup, cacao powder and salt. Add the cashews and cacao nibs to a large bowl and pour over the chocolate mixture. Use your hands to mix it all together really well, evenly coating everything. Spread the mixture out on a roasting tray and roast for about about 13 minutes, tossing in the middle, until toasted. Set them aside to cool and dry, then store in a jar. Can you use a different oil to coconut oil with these?